The Internet of Things and Blockchain Could Be a Match Made in Heaven — What’s Stopping It? The Internet of Things is getting more relevant and important all the time. It’s more than just flashy gadgets like smart printers and toasters — this technology has the potential to change our world in all kinds of ways, on a massive scale. The number of Internet of Things devices is on the increase in a big way, too. In fact, it’s thought to be growing by around 31% year on year, with 8.4 billion devices in 2017. Some estimates predict that there will be as many as 30 billion devices by 2020. This industry is clearly enormously significant and promising, with the ability to shape our lives and society in numerous ways, from improving customer experiences to increasing safety and helping refine supply chains. Another technology in a similar place right now is blockchain. Like the IoT, it’s the focus of a lot of hype and excitement, and much of it is with good reason. Blockchain also has the power to change a lot of things for the better, if we harness it properly. The two technologies could really benefit from one another. Blockchain is decentralized and transparent and could be perfectly adapted to managing IoT data and networks in a secure and efficient way. Before that happens, though, there are a few issues that need to be solved. Blockchain has some challenges to overcome before it will be ready to integrate with IoT and achieve its potential. One key issue is the additional hardware involved in blending blockchain with the IoT. Existing attempts to combine IoT and blockchain for example by the company IOTA, have involved adding new hardware to IoT devices. This is necessary to store the transactional ledger and mine new blocks. The problem here is that it adds to the cost of the device and also takes up memory and electricity. This means the customer is paying more and getting less in return -not a great outcome. Another problem with blockchain is the consensus mechanisms used in mining. To generate new blocks and add transactions to a chain, many of the current models use either Proof of Work or Proof of Stake algorithms. Both work fairly well, but they have drawbacks and can be costly while reducing decentralization and fairness. Proof of Work requires an enormous amount of computing power, which is difficult and highly expensive to achieve while damaging the environment. Proof of Stake on the other hand is less demanding, but it gives more power to those who own more of the chain’s token, which goes against blockchain’s principles of equality and fairness. Also, storing the entire transactional ledger is costly and difficult. To work around these issues and make blockchain ready to be used with the IoT, IOTW are building a new way of doing things. They’ve developed a new kind of mining algorithm called Proof of Assignment, which lowers transaction costs and times while increasing fairness and decentralization. It also significantly reduces the amount of energy and hardware needed to mine, saving costs and reducing the amount of resources needed. The way this works is based in a concept called MicroMining. Instead of making miners compete like in Proof of Work or rewarding those with more tokens like Proof of Stake, the PoA mechanism assigns mining duties to members based on their availability and track record. This way, there’s no need for users to store the entire ledger when mining, and there’s a vast reduction in the amount of memory and energy required. So instead of demanding expensive hardware the process can be carried out by anyone, using no extra equipment and barely any extra electricity or memory. To improve things more, IOTW also have an optional DPS chips to further simplify the electric power systems of the IoT devices they work with. The aim is to make it much easier and more efficient to combine blockchain with the IoT by reducing cos, energy, and memory demands. If done properly, blockchain can be used to improve the IoT in numerous ways. Possibly the biggest advantage it offers is improved security. 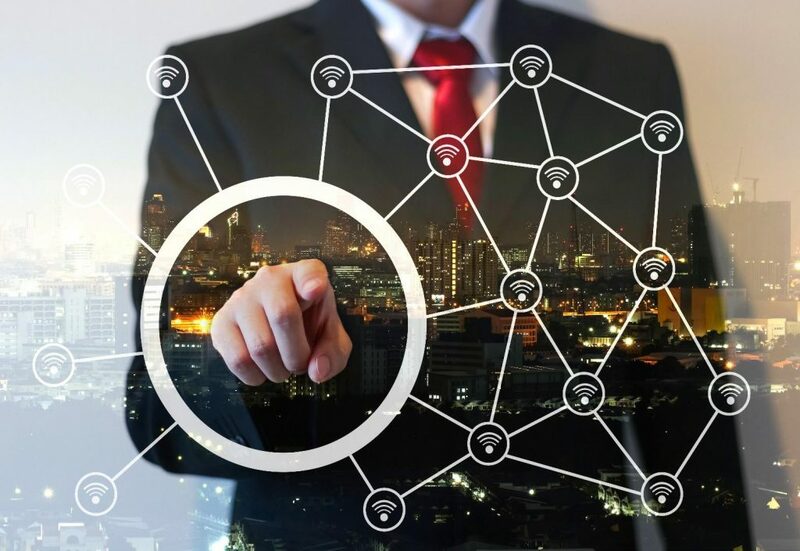 The IoT produces an enormous amount of data, and since blockchain is transparent it’s easy to track that data every step of the way and pinpoint any corruption or hacking. Also, as blockchain is decentralized with no need for a third party or middleman, it’s much more difficult to commit fraud from the inside. This ensures safety and peace of mind for ordinary people who generate data with their IoT devices. It’s a more efficient and reliable system and has the potential to change the game. If we can find a way to make blockchain slightly less resource-demanding and more accessible, it could mean a new era for the IoT and data in general.